Reginald Gibbons (Ph.D. Stanford University, Comparative Literature), Frances Hooper Professor of Arts and Humanities, has published poetry, fiction, translations, and literary criticism. He holds appointments in the departments of English and Classics, and formerly also in the Department Spanish and Portuguese; he has been the editor of TriQuarterly Magazine (1981-1997), Director of the Center for the Writing Arts, and was the founder and Director for many years of the MFA in Prose and Poetry in the School of Professional Studies. In September 2015 he published How Poems Think (Chicago), a book about the nature of the temperaments of both poet and language, and about rhyme, apophatic poetics, and continuities of poetic thinking over time. In late 2016, his new book of poems, Last Lake, was published (Chicago), and in Fall 2017, his new book of short fiction, An Orchard in the Street (BOA Editions). In 2010 he published Slow Trains Overhead: Chicago Poems and Stories (Chicago); his book of poems, Creatures of a Day (LSU), was a Finalist for the 2008 National Book Award. Also in 2008 he published a volume of new translations of Sophocles, Selected Poems: Odes and Fragments (Princeton). From 1981 to 1997, he was the editor of TriQuarterly magazine, an international journal of new writing, art and cultural inquiry published at Northwestern; during that time, in addition to general issues of the magazine, he published special issues of writing from South Africa, Spain, Poland and Mexico. He also co-founded and for a time edited TriQuarterly Books, an imprint for contemporary writing at Northwestern University Press. Gibbons was a member of the Content Leadership Team of the new American Writers Museum, which opened in May 2017 at 180 N. Michigan Ave., Chicago. He continues to serve as a board member of the Guild Literary Complex, a Chicago literary presenting organization that he co-founded in 1989. His poetry publications include ten full-length collections, among them Last Lake, Sparrow: New and Selected Poems (LSU 1997), Homage to Longshot O'Leary (Holy Cow! Press 1999), and It's Time (LSU 2002), and two chapbooks, In the Warhouse (Fractal Edge 2004) and Fern-Texts (Hollyridge 2005). He has published a collection of short fiction, Five Pears or Peaches (Broken Moon Press 1991); a novel, Sweetbitter (Broken Moon Press 1995; reprint Penguin 1996; reprint LSU 2003). He has translated Selected Poems of Luis Cernuda (California 1977; reprint Sheep Meadow Press 1999); Guillén on Guillén: The Poetry and the Poet (with A. L. Geist; Princeton 1979); Euripides' Bakkhai (Oxford 2001) and Sophocles' Antigone (Oxford 2003), both of the latter with Charles Segal. He has edited The Poet's Work (Chicago 1989) and The Writer in Our World (Atlantic Monthly Press 1986; this contains contributions by Stanislaw Baranczak, Terrence Des Pres, Gloria Emerson, Leslie Epstein, Carolyn Forché, Michael S. Harper, Angela Jackson, Ward Just, Grace Paley, Mary Lee Settle, Robert Stone, Derek Walcott, Bruce Weigl, C. K. Williams). 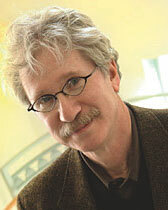 Gibbons has also published numerous essays and reviews, has been a columnist for American Poetry Review, has won Guggenheim and NEA fellowships in poetry, has been a Fellow at the Center for Hellenic Studies (Harvard) in Washington D.C. and has won the Anisfield-Wolf Book Award, the Carl Sandburg Prize, the Folger Shakespeare Library's 2004 O. B. Hardison Jr. Poetry Prize, and other honors and book awards. His poetry and prose have been included in many anthologies, among them Best American Poetry, the Academy of American Poets anthology 365 Poems for Every Occasion, and Pushcart Prize. Other publications include an edited collection of the autobiographical writings of William Goyen, Goyen: Autobiographical Essays, Notebooks, Evocations, Interviews (Texas and Harry Ransom Center 2007). He has published three volumes of selected poems in bilingual editions: Spanish (Desde una barca de papel, edited by Jordi Doce; Villanueva de la Serena [Spain]: Littera Libros 2010), Italian (L'Abitino Blu, translated by Piera Mattei; Rome: Gattomerlino/Superstripes 2012); and French (Je Pas Je, translated by Nathanaël; recoursaupoemeediteurs.com 2015). He has recently completed a book of translations of fifty poems of Boris Pasternak, with Ilya Kutik, that includes a lengthy introduction and comments on the poems. He is at work on new poems, fiction and nonfiction. Gibbons teaches poetry, fiction, and literature courses in English, Classics, Comparative Literary Studies, and the graduate creative writing program in the School of Professional Studies.